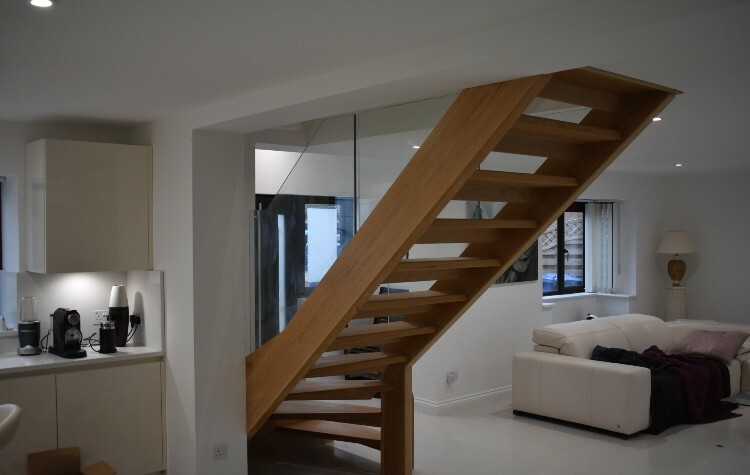 This amazing oak staircase and glass balustrade is a unique addition to any home. 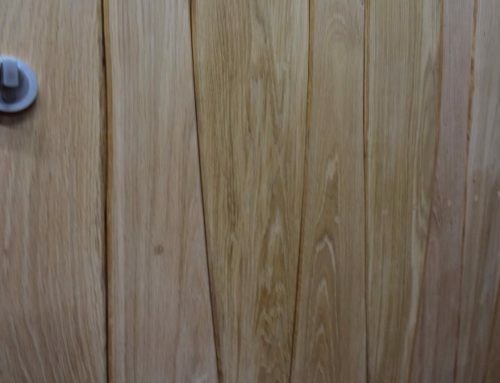 The clients vision and our craftsmanship made a dream into a reality. 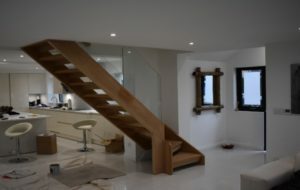 The glass balustrade gives an extremely modern touch to the surroundings. 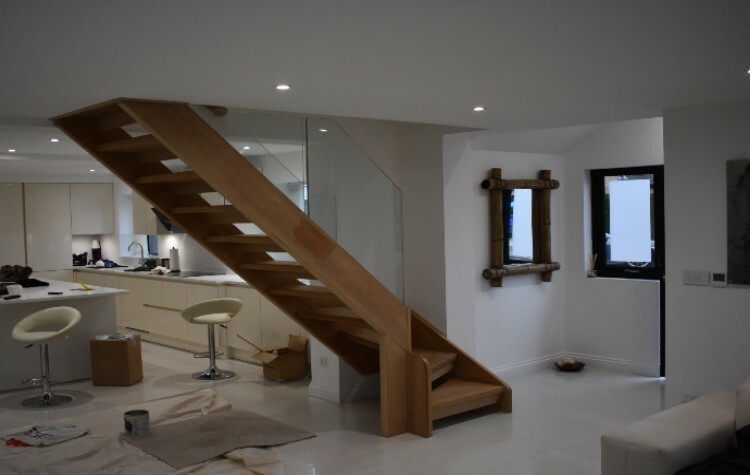 If you are interested in having a staircase like this one, send us an email via our enquiry form, we will be happy to give you a quote.